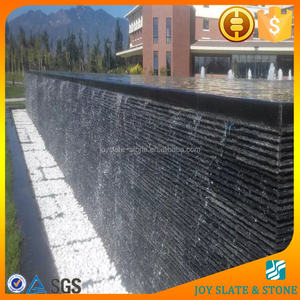 natural stone wall panel black rusty ledge slate culture stone Our culture stones are made of natural slate. hard texture, vivid colors, high flexural strength, antifreezing, corrosion resistance, wear resistance, never fade etc. 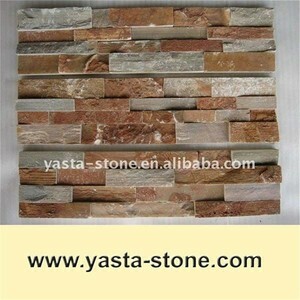 It is the ideal building material for public building, home decoration, garden construction. Welcome to our website for more information. If you have any questions about our products, please feel free to contact us by Email or Trademanager. Contact: Ms Mabel Zhou Tel: +86 792 819 8530 Fax: +86 792 819 8537 TraderManager ID: cn1500083475 Skype: mabel827 Website: Any question,please kindly let me know! 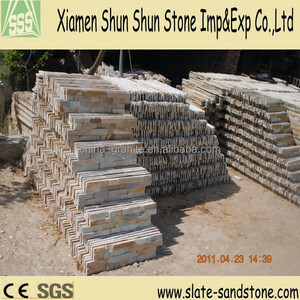 Xiamen Elite Stone Co., Ltd.
2 Thick tiles: wooden crate fumigated, reinforced with strap. 3 Paving stone: wooden crate fumigated, reinforced with strap. Our management idea: quality guarantee, keep innovation, proft sharing, Longtime cooperation. Pls contact with us and make sure what sample do you need. Please contact with us to confirm detail before placing order. Because we don't want to hurt you and your customers' heart. 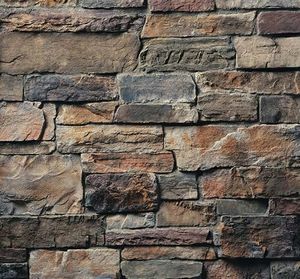 Baoding Northern Star Jiujiang Stone Co., Ltd.
quarry owner slate wall covering wall covering exterior sublimation slate wall covering , Exterior wall sublimation slate wall covering , Chinese exterior sublimation slate wall covering , Natural Black Exterior Slate Tiles , Cheap exterior sublimation slate wall covering , Top quality decorative exterior sublimation slate wall covering cheap price , Natural slate wall covering exterior sublimation slate wall covering, s late, sublimation slate wall covering, slate wall covering stone veneer, slate wall covering roof tiles, slate wall covering stone, roofing slate wall covering, roof slate wall covering etc. 1. 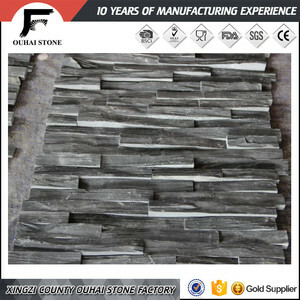 Slate stone, quarry owner slate wall covering wall covering 2.factory since 1992. 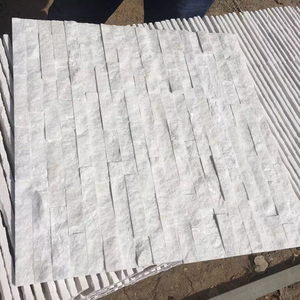 3. water absorption:less than 0.3% 4.Top quality, competitive price 5.Fast delivery Different color , size and types of Culture stone /Wall tile / Wall panel available for outdoor and indoor decoration. 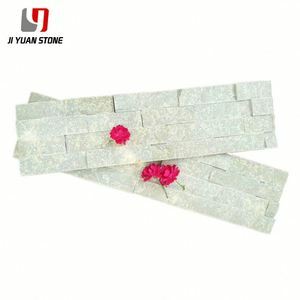 Following are some pictures of slate wall covering, sublimation slate wall covering, slate wall covering stone veneer, slate wall covering roof tiles, slate wall covering stone, roofing slate wall covering, roof slate wall covering etc. Qingdao Richsea Imp.& Exp. 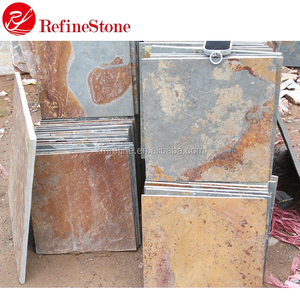 Co., Ltd.
natural slate decorative stones wall 1)Color:Black,Rusty,Yellow,Green etc. 5) Processing Mode Hand Split, Machine cut to size, Be glued together, Waterproof. 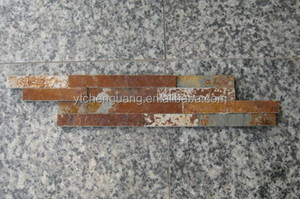 Full range of stone products with different colors and sizes. Our Factory : 1, What is your time of making samples9 Usually we will take 1~3 days to make the samples. 3, What is your delievery time9 Usually 3 to 4 weeks after we receive the deposit. 4, What is the shipping port9 Xiamen, Qingdao, Tianjin or Shanghai port. The third, we have professional QC to control the quality of all the products. We are the shareholder and partner of nearly 100 stone workshops and factories. Please contact Lisa to get the product samples you are interested. We have many production lines and many materials in stock,we can guarante high quality goods,best stable price and delivery time. 2)We do business for demestic market and foreign market,material will be highest used,so the price will be lower than other suppliers. 3. Q: Where is your sales office9 A: Our office located in Pazhou , Guangzhou where Closed to Canton fair exhibition. 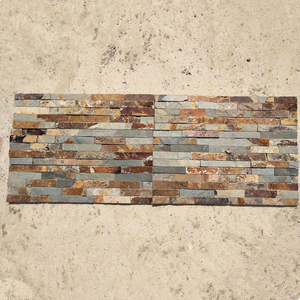 Product Name 2018 popular factory price culture stone wall for sale Material natural slate stone Color green,black, grey , rustic, yellow, multi color Size Slab : 2400x1000mm Cut-to-size: 600x300, 600x600 or customized Culture Stone: 600x150mm, 180x350mm. Surface split, mushroom Quality Control Inspected piece by piece before packing Products Show Color Selection Multicolor White Grey Black Green Rustic Projects Packing & Delivery Our Company Our Advantage Sophie Hong E-mail: sophie @ Whatsapp&cell:+86 157 1151 0366 Web: www. , Ltd Unit 2701, Block 3, Seaview Oscar, Xiamen China Web: www.